Now, community- level insurance policy for Mumbai's Jains - Corporate Risks India Insurance Brokers Pvt. Ltd.
“We have been working on health insurance for a long time. The new idea can change the dynamics of insurance policies. It will ensure better deals to members of a community. Other communities or groups can adopt a similar policy,” said Naypadmasagar Maharajsaheb, the inspiration behind ‘JIO High Networth Individual Mediclaim Policy’, unveiled for the city’s Jains. On Sunday a new deal was thrown open to the city’s Jain community that looks after their most essential expenses of life – the health insurance. The health will ensure better benefits for the Jain community at large. That would be better than insurance worked out for individuals or their families. The community also introduced closed user group mobiles with better offers. The mediclaim policy aims to give those, not part of the corporate world, good insurance deals on a par with corporate-level deals, that could also sometimes give more benefits. “People would ideally have been paid at least twice the amount at the individual level for a similar deal, which also would not ensure maximum benefits,” added Naypadmasagar Maharajsaheb. The policies are worth Rs15 lakh and Rs 20 lakh and a maximum of seven members of a family can be covered. No prior medical tests are required. The premium is Rs 44,000 and Rs 59,000 respectively. “There are better and clearer benefits than individuals opting for family floater mediclaim policy. All ailments, including pre-existing diseases, even for 80-year-olds, are covered for life,” said Dr Bharat Parmar, president of Jain Doctors’ Association, who is part of the policy deal. According to industry insiders, for most cases tests are required and mediclaim is restricted to an upper limit of 80 years of age. However, this is open to only members of the Jain International Organisation (JIO), inspired by a Jain monk. Membership to the organisation is free. “The Insurance Regulatory and Development Authority guidelines mandate that the group needs to be defined and hence Jains who are not part of the organisation can’t avail of it,” said Parmar. 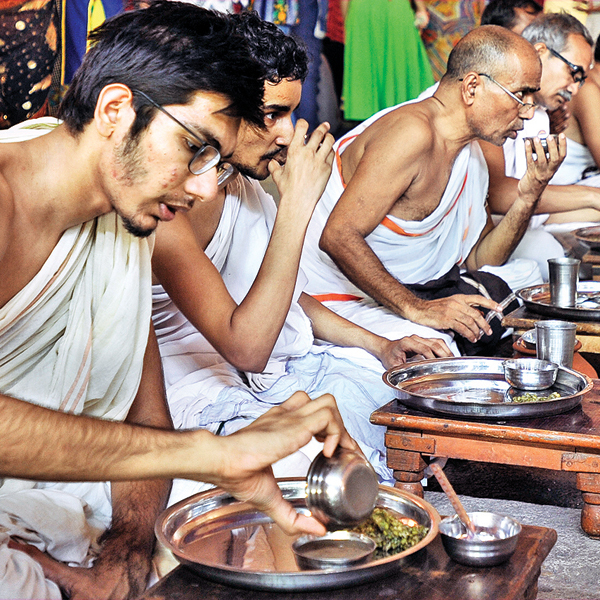 “With mobile usage, we hope to save crores for the community on a yearly basis,” said the Jain monk.